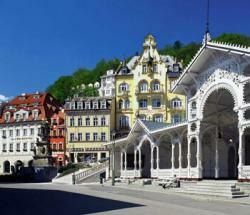 Karlovy Vary with Moser factory. Prague, you stop at the Moser glass factory, where you will have a tour of the glass making facility, you can read about the history of Moser and view (or purchase) the wonderful objects they make. After the visit, your guide will take you on a walking tour of the city or you can walk on your own. Departures: Every Monday & Friday at 9:45 am.